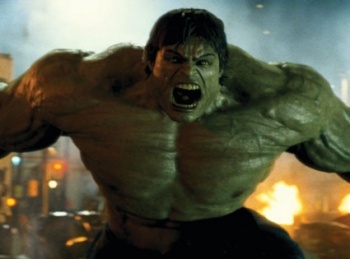 Has a new actor been found to fill the Hulk's purple pants? Sources say yes. Earlier this month, it was announced that Edward Norton would not be appearing as Bruce Banner in the 2012 Avengers movie. Since then, who would replace him has been the source of much speculation, but sources are suggesting that a replacement has been found, and that it will be Shutter Island actor Mark Ruffalo. Besides Shutter Island, Ruffalo has appeared in Eternal Sunshine of the Spotless Mind and Where the Wild Things Are, as well as directing Sympathy for Delicious. Ruffalo's name came up earlier in the month as one of the actors in the running to play the part, and the last obstacles to him joining the cast were said to be pay and the number of movies that Marvel wanted him to appear in. There's no official confirmation of the casting yet, but if it proves to be true then Ruffalo will join Samuel L. Jackson, Robert Downey Jr., and Chris Evans - amongst others - in the Joss Whedon directed movie. UPDATE: The rumors have been now been confirmed as Ruffalo joined the rest of the cast on stage at Comic-Con. Also confirmed is Jeremy Renner, star of the Hurt Locker, as Hawkeye.